Designed And Built For The Street Enthusiast That Believes "Some Is Good, More Is Better, And Too Much Is Just Enough!" 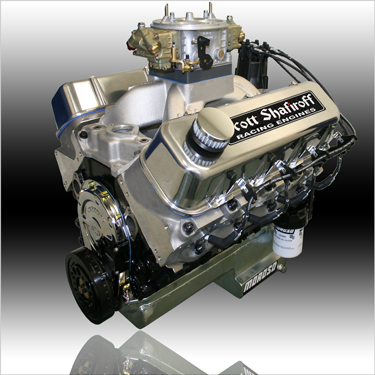 This 632 UltraStreet Big Dawg Has Been Engineered To Deliver Incredible Race Engine Performance In A Reliable Pump Gas Friendly Package. For Those That Want Virually All The Power Of "The Big Dawg Classic" Without The Hassle Of Ever Having To Adjust Valves, The HHR Is For You! We Use Special "Proprietary Grinds" On Our Custom Hot Hydraulic Roller Cam Along With "Ultra Hi-Rev" Hydraulic Roller Lifters And Premium Alloy Valve Springs To Maintain Race Engine Performance With Hydraulic Roller Convenience. Total Package Value = $915 - Save $350!